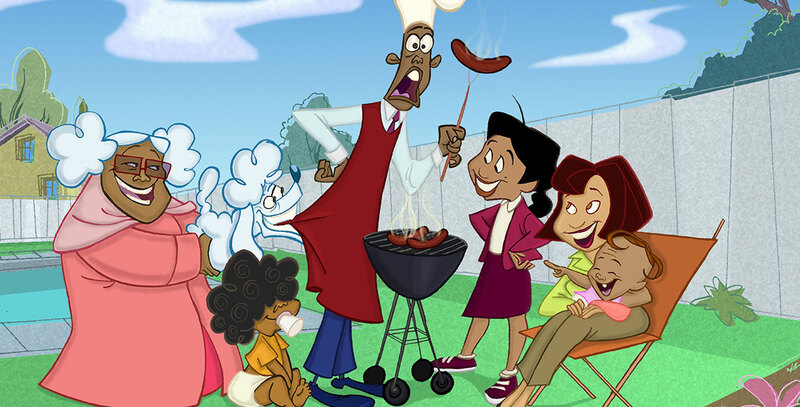 Proud Family, The (television) An animated sitcom on Disney Channel that follows the adventures and misadventures of Penny, a 14-year-old African American girl, along with her best friend, the sassy and scheming Dijonay. Premiered on September 21, 2001. Voices include Kyla Pratt (Penny Proud), Tommy Davidson (Oscar Proud), Paula Jai Parker (Trudy Proud), Jo Marie Payton (Suga Mama), Karen Malina White (Dijonay), Orlando Brown (Sticky), Alisa Reyes (LaCienega Boulevardez), Soleil Moon Frye (Zoey).